Some pets can be incredibly intelligent. 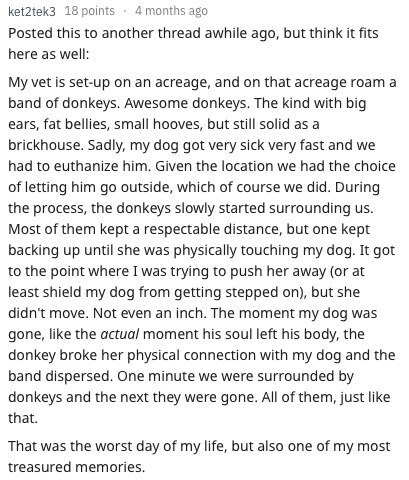 And the following stories are of these under-appreciated pets. 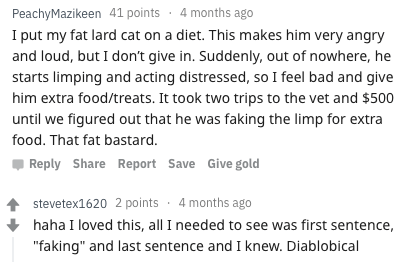 As you might be aware, we tend to pay much more attention to the stupid antics of our pets, laughing and cheering them on. However, we rarely notice the incredibly intelligent things they do. Well, today we will give them the recognition that they deserve. Some of these might be a bit creepy but who are we to judge . 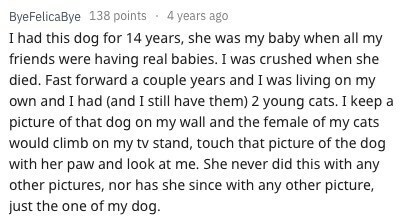 So when one Reddit user asked this question “What is the creepiest thing your pet has done?”, many people replied. 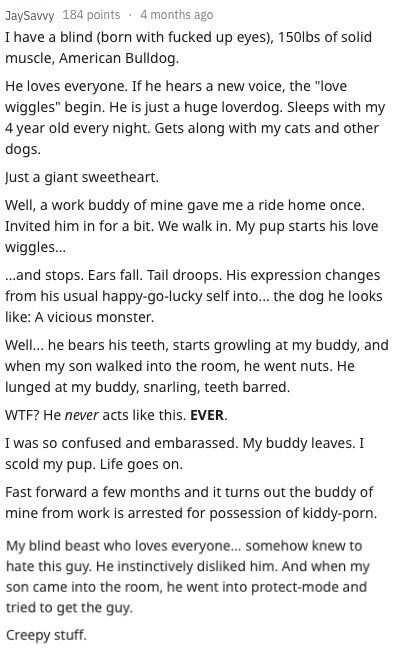 While we wouldn’t really call humans creepy if they do something intelligent, we decide to use that word for our beloved pets. Scroll down below and take a look at their different stories. #1 Wait, Can dogs read your mind too? #2 Okay, That is just too creepy. #3 I would probably do the same. I respect this dog. 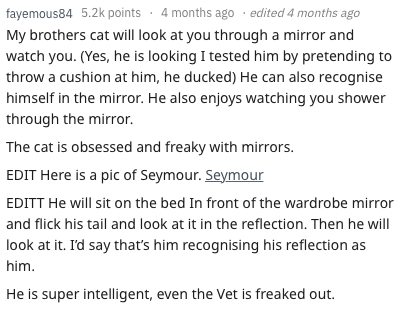 #4 The cat was even smarter than her owners. #5 Don’t know, never watched that. #6 See!? Even cats can act civilized! #7 One glance is enough. #8 That is a very sad and beautiful moment. #9 At least he had the decency to cover himself. #10 She finally listened after the 100th time. #11 I feel the cat. #12 I wonder why she was doing that. #13 Aww, That is just too sweet. #14 She doesn’t have to be smart to know how to hunt. #15 Even pets knows how to mock you. #16 Okay, that is undoubtedly too creepy. 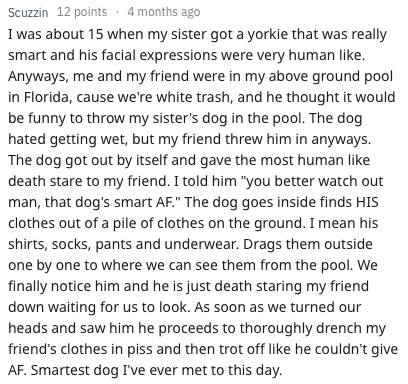 Do you have creepy stories to share of your intelligent pets? If so why not comment down below and let us know!